Check Rates & Availability at Super 8 Phenix City! 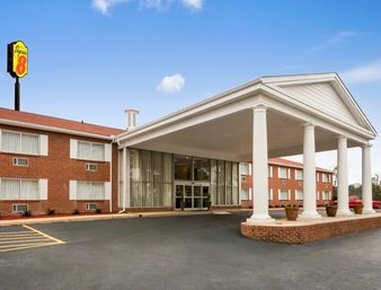 The next time you visit Columbus, GA, just five minutes away, choose the Super 8 Phenix City, conveniently located near shopping and restaurants, and just 10 minutes from Columbus Metropolitan Airport. Visit Phenix City Amphitheatre, Phenix City Riverwalk, East Alabama Motor Speedway, the National Civil War Naval Museum at Port Columbus, Springer Opera House, Columbus State University Coca-Cola Space Science Center and much more, all within 10 miles. This affordable lodging features interior corridors, key card guest room entry, seasonal outdoor pool, complimentary parking for cars and large commercial vehicles, lounge area and business center. Enjoy complimentary SuperStart breakfast daily, as well as complimentary wireless Internet access. Guest rooms offer desk, iron, ironing board, microwave, mini refrigerator and flat screen HDTV.